Hope you are all doing well. I have a rainbow shaker card to share with you today. I signed up for Rainbow Online card class last month when I first got the email. So glad I did then as it is such an inspiration to craft again. 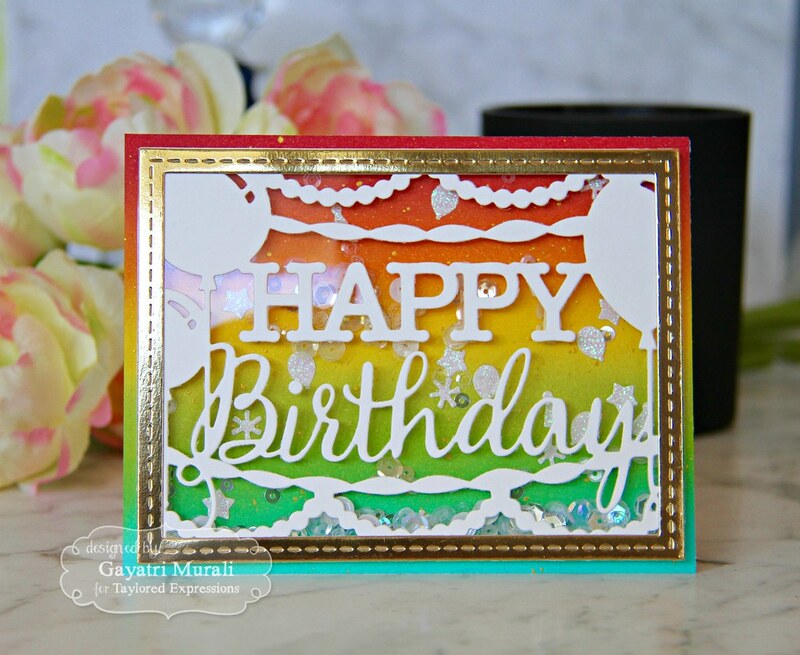 I made this rainbow background shaker card using Taylored Expressions dies and inks. The background rainbow coloured are sponged using Taylored Expressions dye inks. The inks I used are Cookie Monster, Mint Julep, Granny Smith, Lemon Meringue, Candy Corn and Cherry Pop. 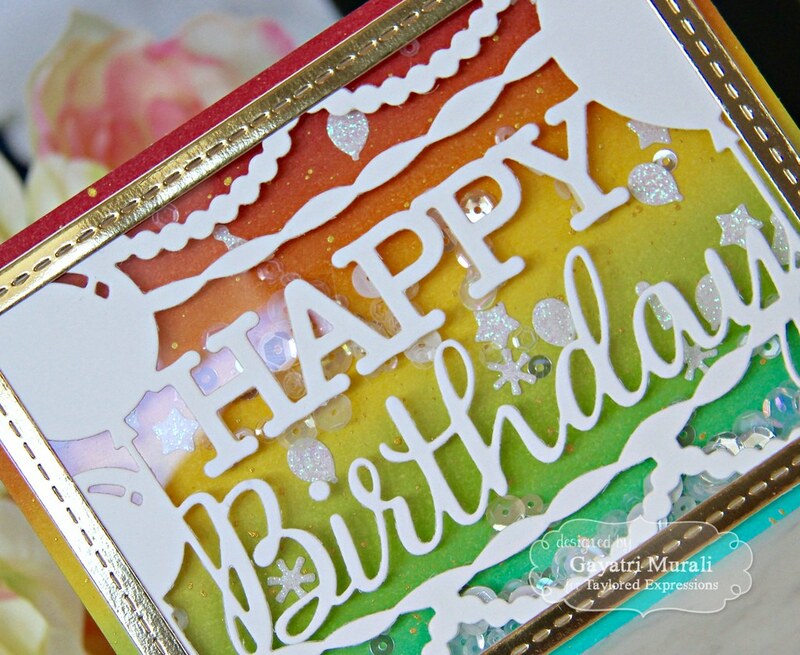 The dies I used are Happy Birthday Cutting plate and Stitched Frame 1 both from Taylored Expressions as well. For the shaker elements I used Snow Flurries sequins and Little Bits Birthday Confetti die cut using white glitter cardstock. No stamping whatsoever! Just dies and the rainbow inked background that highlights the detailed die. I have all the supplies I have used to make this card below. Pretty and looks like it would be really fun to shake!